Biking is hands down the fastest, not to mention the cheapest, way to get around town — you know, if you can get over the city's crazy peaks. And, while it's an extremely efficient method of transportation, getting from point A to point B isn't always easy if you're toting around a ton of stuff. But, having the right gear makes all the difference. That's why we asked five San Francisco bike messengers — who spend their life on two wheels — to give us their top biking bags. These picks are biker tested and approved, and not mention run the gamut from sleek to super-durable. All you need to do is get a grip on 'em and go. It's all uphill from here — literally. Why It Works: Drawstring closure adapts to all different shapes and sizes. Large enough to fit laptop and other work gear. Small pockets allow quick access to essentials. Padded straps make for a more comfortable and balanced commute. 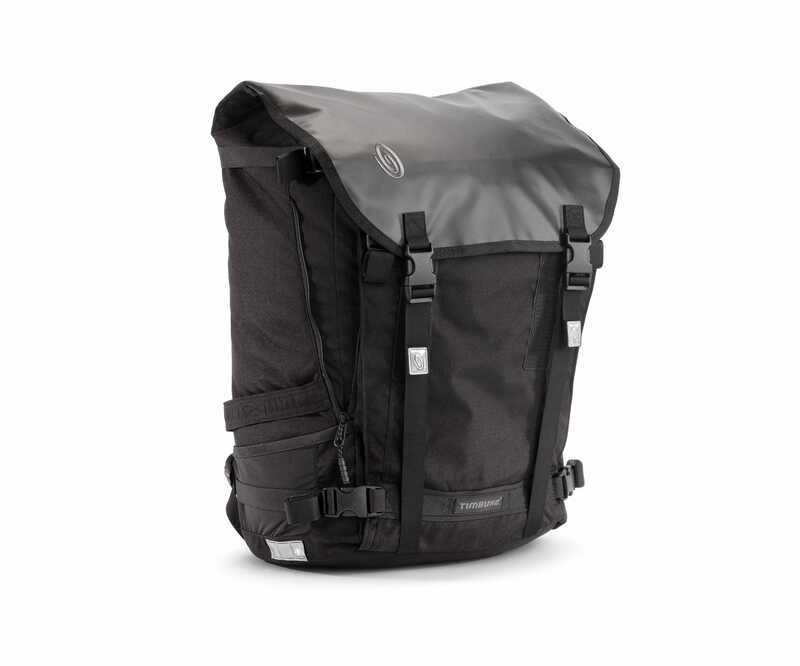 Robin Easterbrook, a bike messenger, avid cyclist, and member of the brand team for on-demand flower service Bloom That, recommends this large Herschel Supply Co. bag for everyday bike riding. "I love this bag for its functionality and design," she tells us. "I can use it for a day out, an overnight trip, or any deliveries." 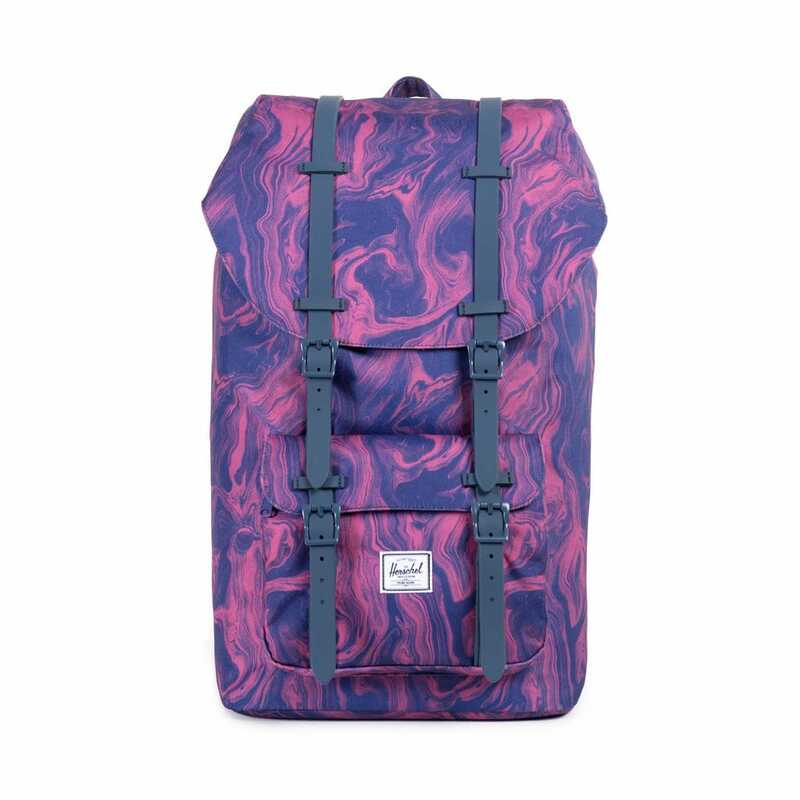 Not only is this backpack eye-catching (coming in a variety of colors and patterns), it also organizes your stuff while still allowing for quick, easy access. 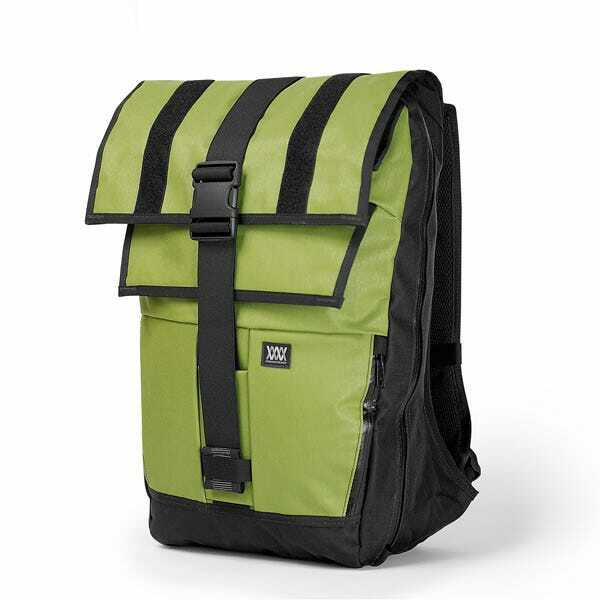 It has thick, padded straps so it won't strain your back riding around the city, and is large enough to fit almost everything you need for the day. Photo: Courtesy of Mission Workshop. Why It Works: Three major zip compartments and two pockets in the front. Adjustable top to roll or flip down allowing for extra cargo. Durable, waterproof material. "I love this bag because it is local and sleek," bike messenger and Postmates operations manager Angela Hallinan tells us. "I have used it to go bike camping down in Half Moon Bay and it felt light on my back. The support and distribution of weight is wonderful. I do deliveries with the bag — I just put a cardboard box on the bottom to help keep the form." But, the best part about this bag? Its ability to double in size. The main compartment can roll up for extra room if need be, while the super-durable materials will withstand the worst of S.F. weather conditions. Plus, it has a lifetime warranty. You can't beat that. Why It Works: Huge capacity, adaptable straps that allow for securing larger items, comfortable straps, convenient exterior side pockets, and secret mini-pocket in the back panel. 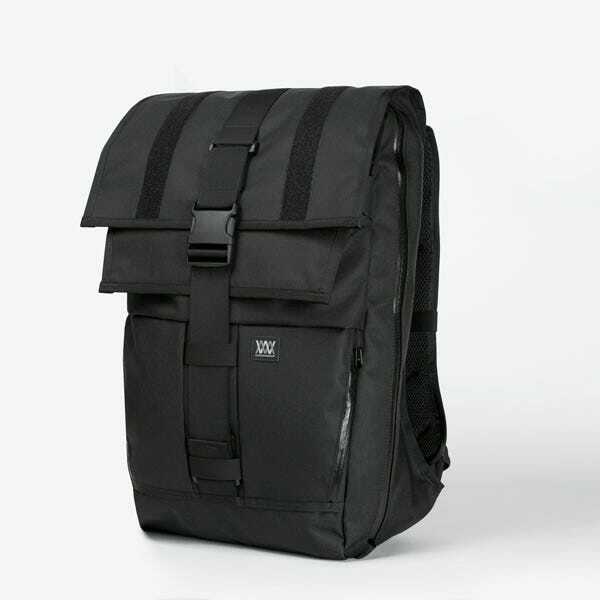 Bike messenger and co-founder of Swell Bicycles, Uri Friedman, tells us the Timbuk2 Cuatro Cycling bag is his top pick for its durability and size. "It's great for hauling large loads, while keeping things super dry on the inside," he says. "I use it for bike races. I can fit all my gear inside and still strap my race wheels onto it. The bag sits in an ideal position to ride a bike since it's low enough to not hit your helmet, but not too low to be in the way of the saddle." In addition to the space, the bag has other features, like a cooling panel for ventilation while you ride. Why It Works: Leather straps to hold larger items on the outside of the bag. Lots of room for a laptop and notebooks. Two small inside pockets. It's mostly canvas, so it's easy to keep clean. Bike messenger and Postmates' community manager Ashlie Gudmundsen nominates Alite's minimalist Bike To Beach Bag as a top contender. "I like it because it's made by a local S.F. 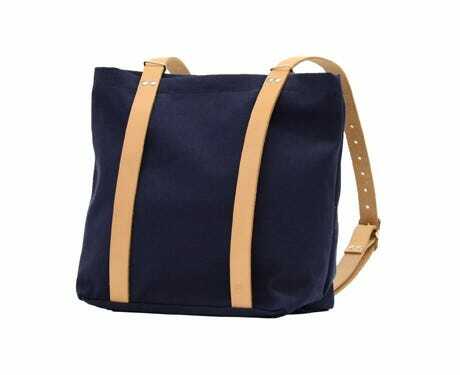 brand, it's affordable, and it holds my laptop and other work supplies with plenty of extra room," he tells us. "The leather straps on the outside can hold yoga mats or towels. It also has a lifetime guarantee through Alite!" 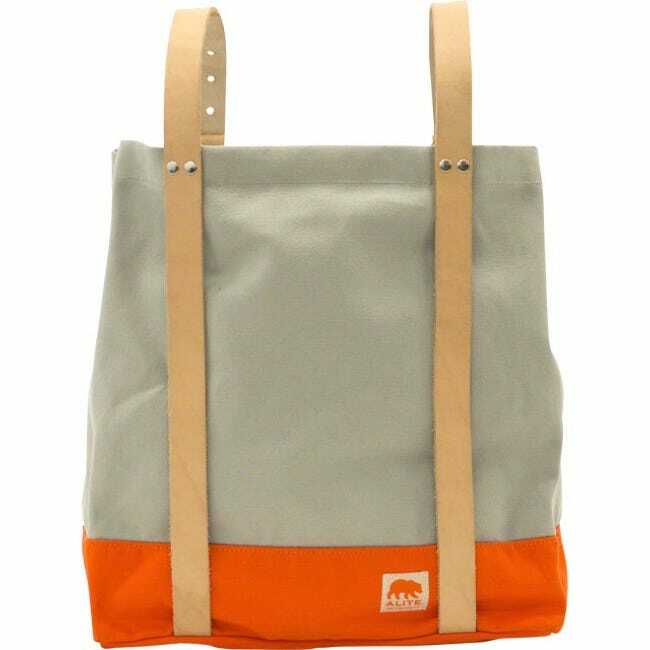 This bag is streamlined, simple, and comes in an array of colors. Photo: Courtesy of Freight Baggage. Why It Works: Sturdy, hidden shoulder straps and durable material. 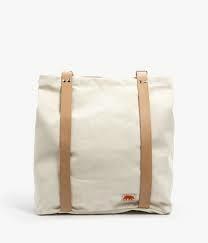 Can also be used as travel bag to carry bicycle and gear. 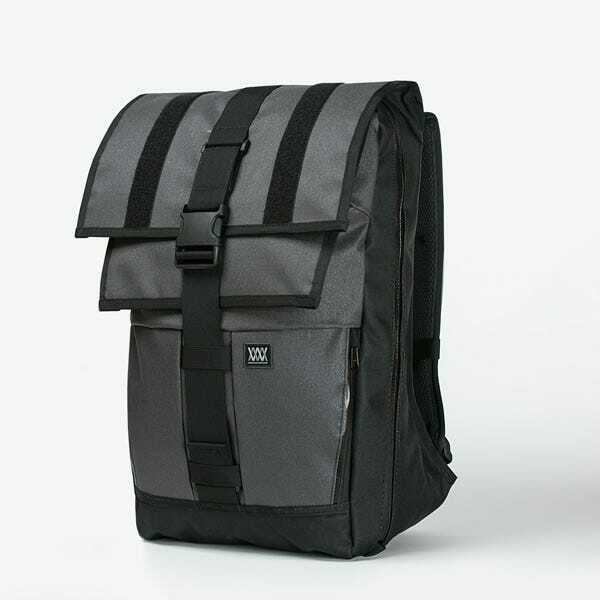 Founder of TCB Courier and bike messenger Chas Christiansen loves this bag because of its multi-functional storage options. 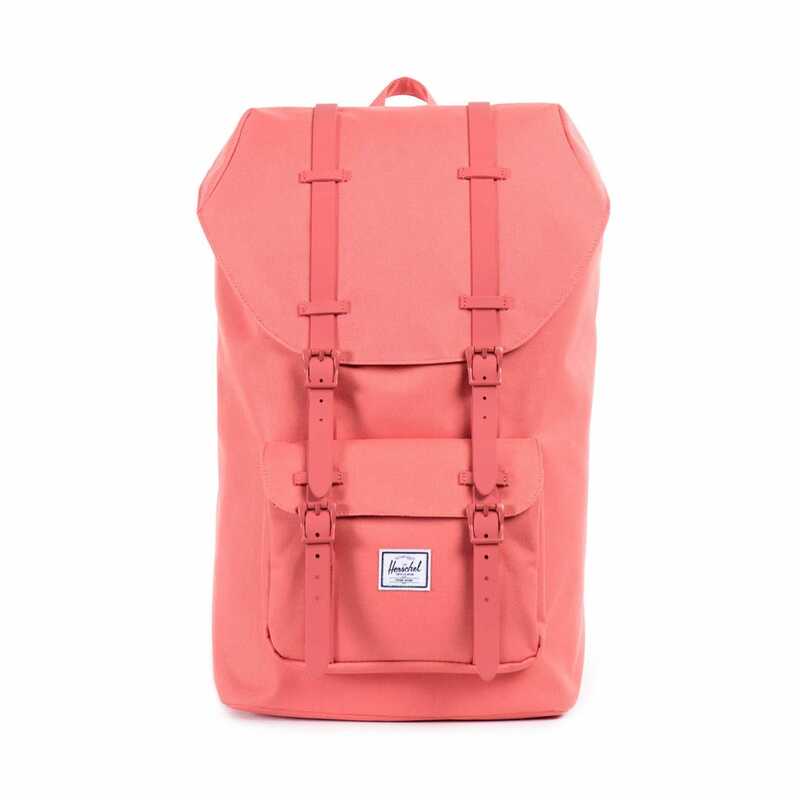 "I can wear it like a normal — if not slightly larger — backpack, storing all of my contents. But, it also keeps my bike safe and sound when need be." 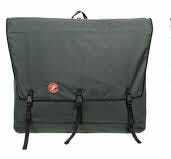 The bag's ability to double as a carryall and bike storage bag make this option ideal for traveling bikers and messengers alike. 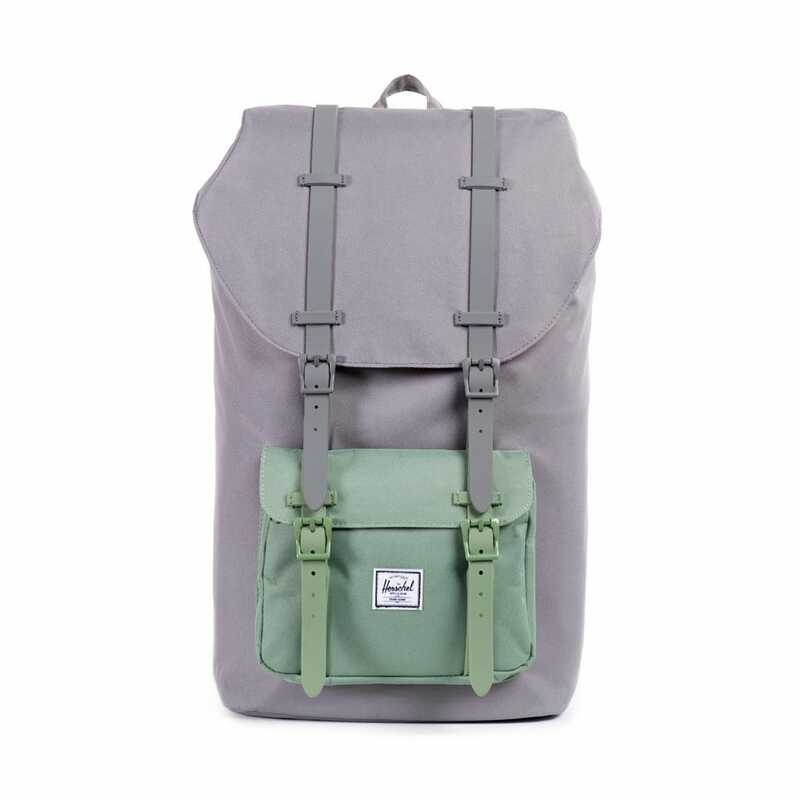 Photo: Courtesy of Herschel Supply Co.